Thinking of buying luxury real estate but don’t know where to start? We’ve got you covered! When it comes to luxury real estate, expensive doesn’t always mean luxurious. For a property to be considered “luxury,” it should provide residents with the highest level of comfort. Luxury properties are found in all kinds of locations here in the Scottsdale area, ranging from right in the middle of Old Town to all the way out in the desert. Wherever a luxury home may be, it should provide security and privacy. What amenities make a luxury property? Luxury means different things to different people. Some may envision a luxury home as a resort-like getaway complete with pools and guest houses while others may want a ranch-style abode surrounded by miles of desert. What should I look for in luxury real estate? A luxury property should give you the chance to explore your passions. Find a property that suits your tastes and lets you indulge in your hobbies and in things that are important to you. You may be a vintage car collector needing a place for your collection or an equestrian dreaming of a ranch for your horses. Whatever your tastes or goals may be, your potential luxury home should cater to them. Also, take into consideration the reputation of the property’s architect, designer or builder. If you decide on selling it in the future, you can put a higher price tag on your home if it has the signature of an acclaimed architect or builder. Should I hire a luxury real estate agent? The answer is a resounding yes. If you’re serious about buying luxury real estate, hiring a real estate agent who knows the market is the way to go. The world of luxury real estate is not one that relies solely on run-of-the-mill MLS listings or real estate sites like Zillow. Many luxury buyers and sellers put a premium on privacy and will not go through the usual channels. A seasoned luxury real estate agent will have the right network and will know whom to call. What should I do before buying a luxury property? In buying luxury property, due diligence comes first. A house may have top-of-the-line appliances and high-tech features, but that doesn’t mean that it’s free from structural damage. Home inspections area must and you should hire specialists if necessary. Also, take the time to look into the neighborhood. Find out if there are any development plans in its future that could affect property values in the area. 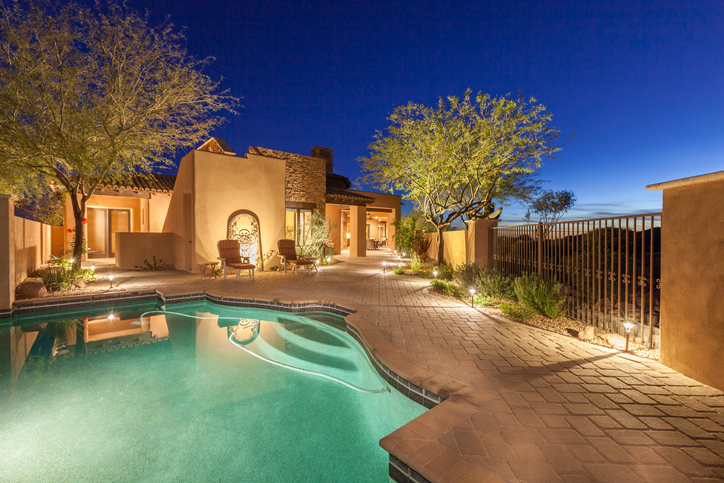 Explore your luxury real estate options in North Scottsdale today! Give Urban Luxe Real Estate a call at 480.359.6519 or email us at info(at)urbanluxere(dotted)com.